The ultimate party game is back and it's better than ever! 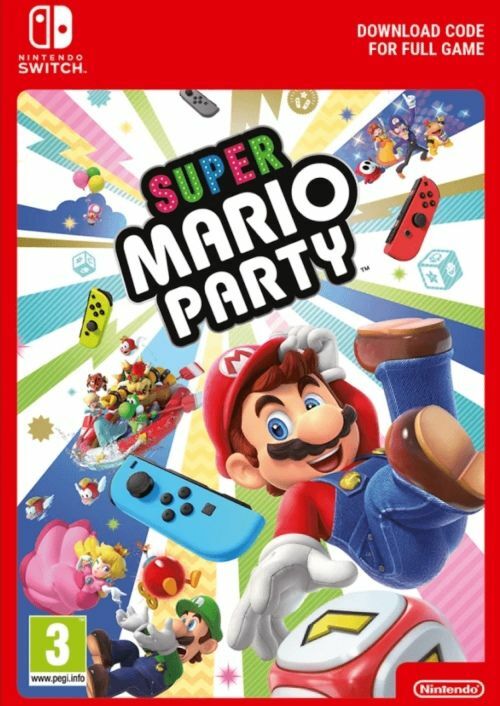 Grab 3 other friends or family members and get this Super Mario Party started! 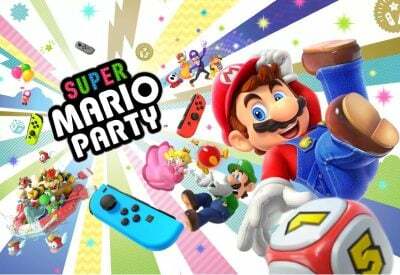 Super Mario Party makes use of all the Nintendo Switch's features in its wide variety of 80 new minigames for you to try. Welcome to the next generation of tabletop gaming. Play locally or online with Super Mario World! What's included with Super Mario Party? 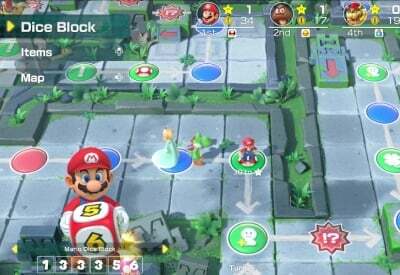 Is there a region lock for Super Mario Party? Yes. This product is only available in Europe. How will I activate my key for Super Mario Party on Nintendo Switch? There are 80 new minigames in Super Mario Part, and they're all totally different. Some of the challenges are free-for-alls, some are 2 vs. 2, and some are even 1 vs. 3! Some will have you flipping burgers, and others will have you riding tricycles. Head to Toad's Rec Room to try out the brand new feature of linking two Nintendo Switch consoles together for some side-by-side fun! Up to 4 players can compete are once! 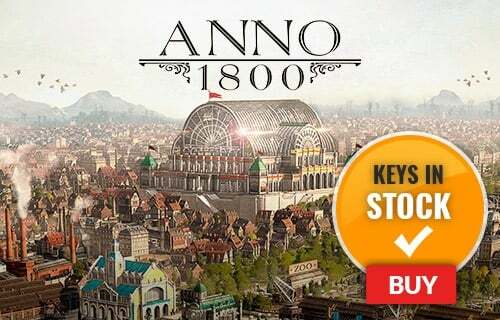 Take turns rolling the dice and racing around the virtual map like a real tabletop board game. Want to get a free key to play Super Mario Party or another title? What are the system requirements for Super Mario Party?